In 2018, researcher Mark Hendrickson alerted the Friends of Hathorn House that there were letters about a supply depot for the Continental Army at Warwick. This was a complete surprise, because the community had carried forward no memories of this. During 1780-81, several supply staging areas were very active, moving needed food from other areas up through Sussex NJ, Ringwood NJ, and Warwick, often then shifted to New Windsor or other areas as needed. The letters were part of the Charles Stewart manuscript collection at the library of the Fenimore Art Museum in Cooperstown. Volunteers visited and photographed the letters mentioning Warwick. Then they transcribed the letters. What emerged was an astonishing story of the interactions between the Continental Army officers and locals. Additionally, the letters contained proof of a visit to Baird's Tavern by Martha Washington. Transcriptions of letters in the Charles Stewart Letters at Fenimore Art Museum Library, Collection 262, mentioning the Warwick depot. With thanks to volunteer transcribers Deborah Sweeton, Theresa Mehling, and Kristin Korn. Summary article written about the discovery of the records. These sample images of the transcribed Warwick area letters are provided courtesy of the Fenimore Art Museum.. Further duplication (except for personal research use) requires their permission. John Erskine begins organizing the depot, & "Justice" (James) Burt appears to "help." Reverse of letter showing Erskine's address at "Warrick". 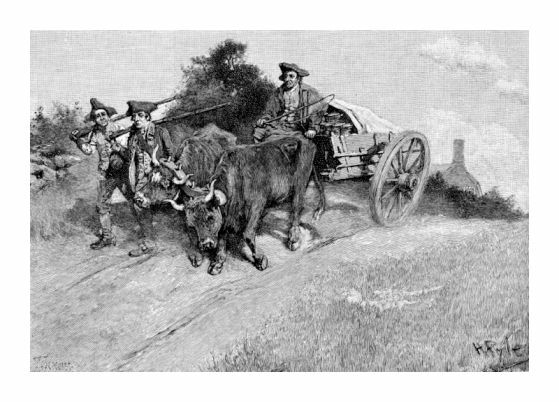 The local men were fed up with offering their services to help move the massive amounts of supplies, and never getting paid, or getting paid in nearly worthless "IOU"s. They needed their wagons and oxen for their own farms during the growing season. The letters show that Martha Washington stayed at Baird's on June 25. This is the day after, when she departed. A suspicious official arrives and is unimpressed by operation of the depot, and the conduct of its managers. Francis Baird filled with glee at their discomfiture. Some basic resources for understanding the "logistics" of supplying the army. Brief overview of supply difficulties. Full text of comprehensive book by Erna Risch.